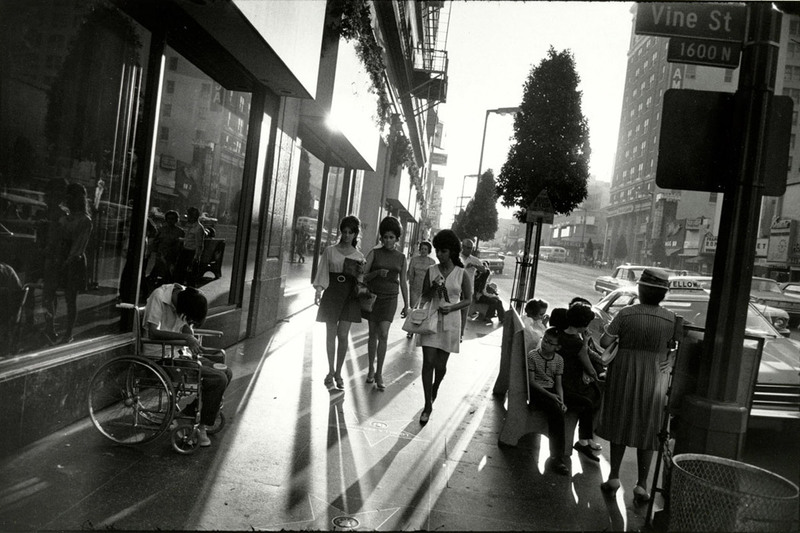 Writing about the work of Garry Winogrand is a bit like drawing pictures of the work of William Shakespeare. His imagery speaks for itself most importantly and I’m aware of some of the pitfalls in trying to summarise it in mere words. His work requires interest, patience and gestation time leading to periods of reflection and even [potentially at least] moments of enlightenment. Those who have been won over by his work tend to marvel at its ability to keep them captivated far longer than they initially thought. It’s a revelation to many that once they’ve seen his work many times its meaning continues to evolve. I’m still amazed that every time I pick up one of his books I see new things, I like images I didn’t and don’t like images I did.. but witnessing myself changing my mind like this is like a lesson in letting go of my own preconceptions. So, I’m not going to focus primarily on his character [which lets face it I know roughly the same as many others who’ve seen many of his videos on-line yet never met the man]. I’m going to focus mainly on how three of his images affected how I think about photography, art in general and life itself. This influence along with some other select photographers have totally realigned what I thought art was capable of being, aesthetic considerations, its [social]functions and its meaning itself. Of course I cannot expect that others read his work like I do and free interpretation is what photography, much more that words is always about. So, feel free to disagree at any time. The first image I first came across one day in College about five years ago. 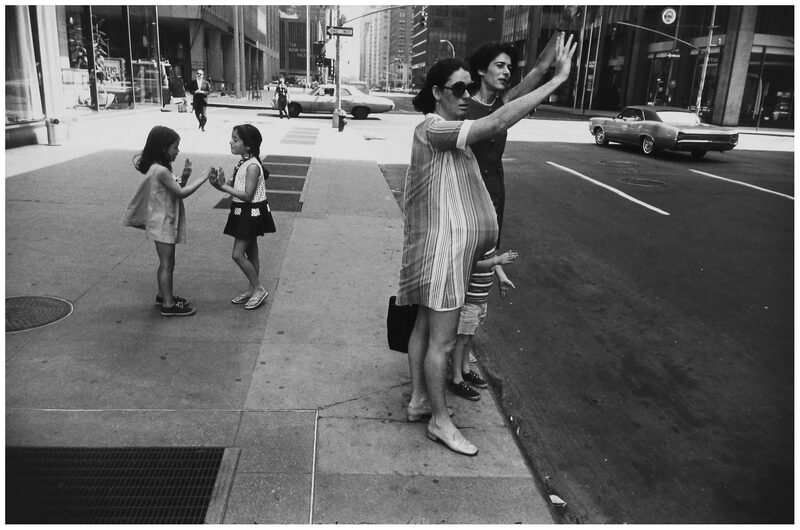 I may not have even known it was a Winogrand image at the time, but I remember my instantaneous response. How is this art? Anyone could take this picture. Well, not anyone did. I’m not even sure if I saw the obvious ‘pun’ of the image which is the suggestion that the car is too big for the garage. 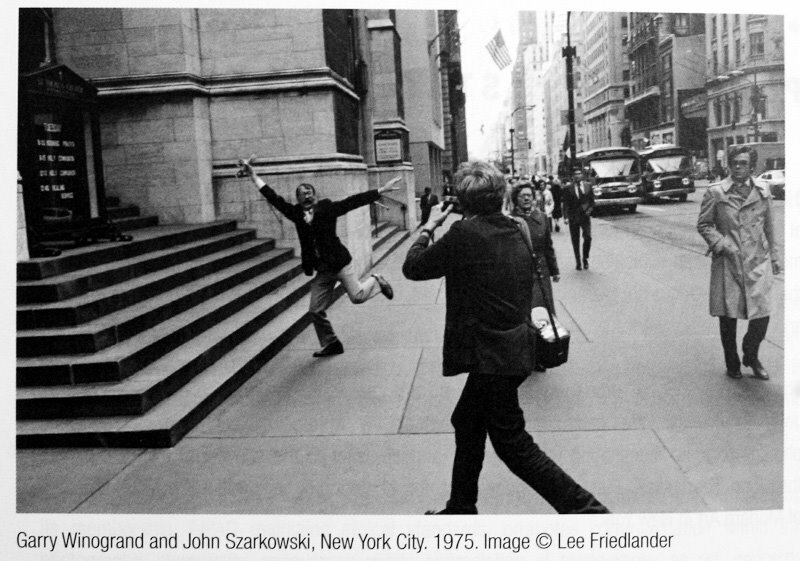 Then again, I don’t believe its important whether Winogrand noticed the pun as he took the photograph [I’d guess there’s a chance it was moving as he took the shot], but he sure as hell spotted it on the contact sheet. I remember coming across the image again a few times and recognising the pun yet I was still not too convinced that this shot was worthy of high artistic merit. The obviousness of aesthetic sensibility that was present in Bresson’s or many of the Magnum photographers [European classical influence] just wasn’t there. So like with many other of Winogrand’s images I struggled a little, particularly in this aesthetic sense, I guess because that was usually my main criterion for judging work at the time. I thought crookedness in an image was probably just laziness on behalf of the photographer. Something I’ve taken from my readings of philosophy is the idea that often the philosopher’s job is to question values themselves, the values passed through older generations and the values created by new ones.. things we habitually take for granted. One day this idea hit me as I revisited the image. 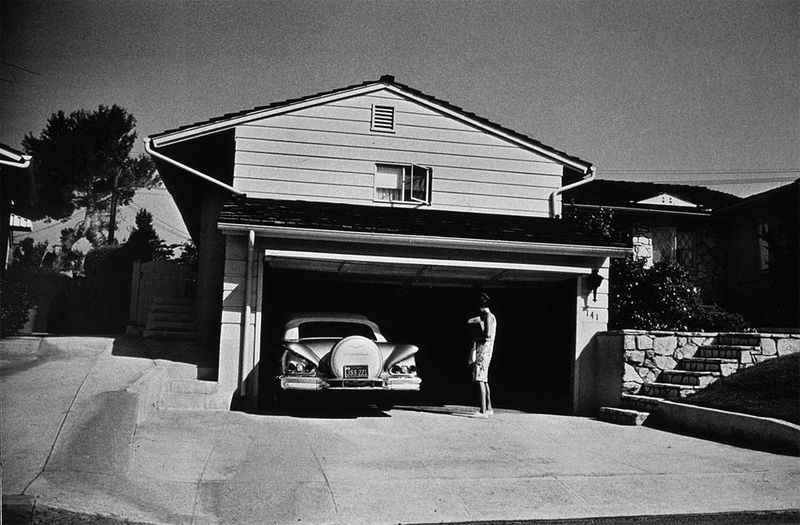 Here was the house and the car too big, here was the woman to my mind seeming to question this reality and when I saw that it was as if Winogrand was posing the philosophical question about values themselves. All of a sudden what I was confronted with in this image was in direct conflict with happy capitalist family ideology which is sold to us in almost every post war advert. 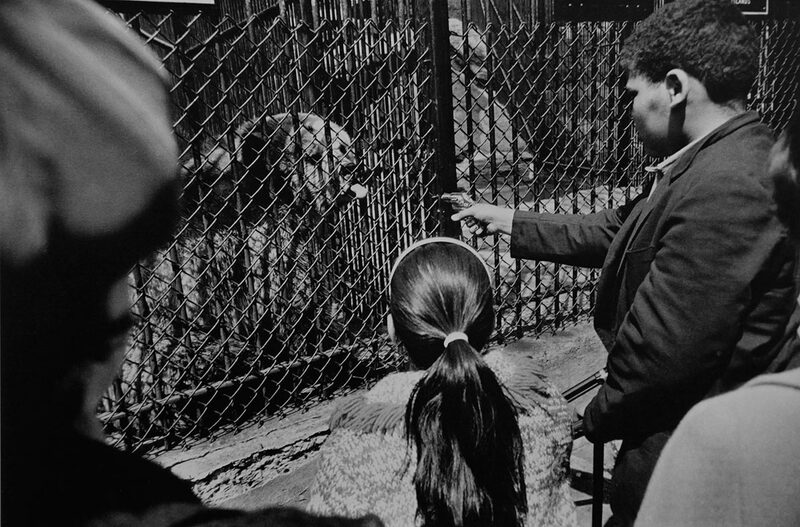 As is the case with the pun present in some of Winogrand’s images, when you dig deeper, its not just a humorous pun, it becomes a complicated social question with connotations about life itself. The thing I learned from this image, possibly more than any I’ve ever seen is that my initial judgement of it was entirely dismissive yet some 12 months later the same image led me to form completely new ideas. Perhaps photography could be a form of philosophy.. to intuitively question values themselves. Perhaps the camera in the right hands is the tool of the philosopher. Now this image shined as an artistic beacon where I’d initially seen nothing. It made me realise how ignorant and dismissive my own preconceptions could make me. It taught me something about myself. That more than validated its crooked existence in my mind. The second image which affected me incidentally led me to have an argument with the renowned documentary photographer Tom Wood who said I was reading way too much into it. Again, this was an image which I saw relatively little in upon my first viewing. However, months later I had come across a Winogrand article containing a quote about children at play- “What do you observe when you watch children play? You know, they’re dead serious. They’re not on vacation.” The context of Winogrand’s answer to the interviewer was in relation to why he ‘works’ so relentlessly and he [in a roundabout way] seemingly compares his work to play and most humans work to something they want to get away from or vacate. So the left side of the image presents the children in the state of play and the right side the adults hailing taxis and concerned about getting somewhere else, vacating the present scene. Just behind the pregnant woman’s bump you see a child mimicking this behaviour. 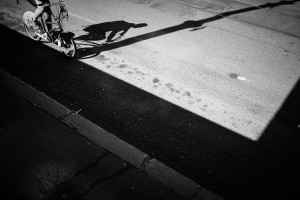 Again the philosophical idea of questioning values themselves crept into my mind. I was faced with this powerful dilemma within the image. Can we find the place where we want to be? Are we already there or are we destined to continue searching forever? The final image that affected me is arguably Winogrand’s greatest image. 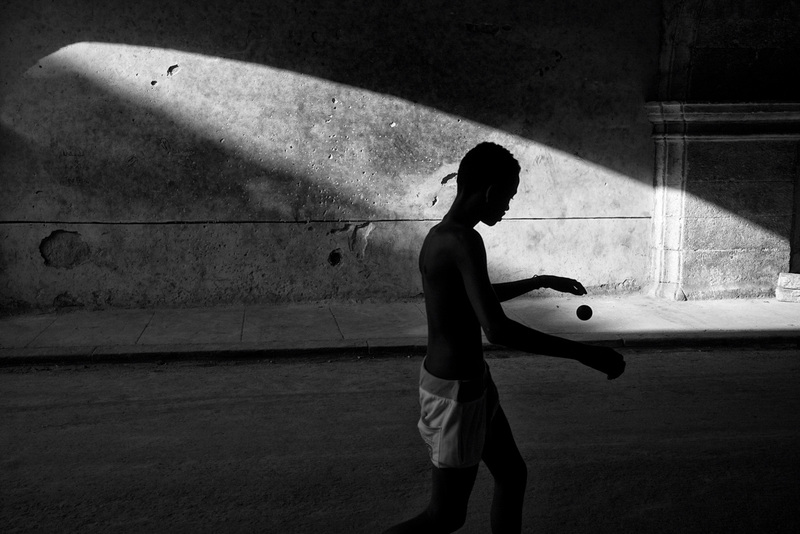 A friend of mine [who is not a street photographer] often refers to this image as the best photograph ever taken. This image unlike the other two hit me like a brick the first time I saw it. It’s dark yet somehow enlightening, real in a harsh sense yet very much surreal, it seems like an apt way to sum up our modern world. As a social document this image seems to have it all: reality and glamour, isolation and togetherness, pain and beauty, apathy and empathy. Its like a perfect balancing act of human traits, like a dream of a slightly mad reality containing a complete set of fears and desires. Something that seemed to me to be the significant icing on the cake was how the light converges on the star upon the walk of fame. Without putting it into words as to why, it just seems so apt. I want to share a lesser well known quote from Winogrand that went some way towards changing my attitude towards photographing life itself. It is a quote I found in “The Man in the Crowd” during my time in college. This quote comes from 1963, not too long after the Cuban Missile Crisis, which according to his son, had a significant affect on Winogrand’s view of life. “I look at the pictures I have done up to now and they make me feel that who we are and what we feel and what is to become of us just doesn’t matter. Our aspirations and successes have become cheap and petty: I read the newspapers, the columnists, some books, I look at the magazines (our press). They all deal in illusions and fantasies. I can only conclude that we have lost ourselves, and that the bomb may finish the job permanently and it just doesn’t matter, we have not loved life. I remember the day after I read this quote I shot about 500 images in an hour and a half. I was running around like a headless chicken and even whizzed past Sonia O’Sullivan [famous Irish Olympic runner], who I happened to shoot buying her sausages in the market. I guess what the text might have taught me is that while most people are caring about each other they can’t see the bigger picture, at least for what it is. Winogrand [like the other great social photographers] cared for the collective but firstly wanted to see it as it was, not as we have become so accustomed to it being portrayed through the media storm. In the end what we are left with is a man who sought to continually know more through his visual conquest in opposition to what we call ‘the media’ so often portrays. He was a man who found his central purpose in searching and questioning as opposed to the finding of answers. 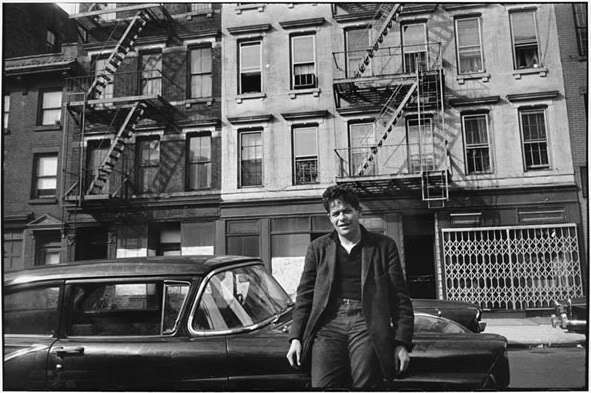 Possibly Winogrand was his own greatest enigma. “Maybe we are our faces” was a phrase that struck me as from a man who was willing to dig deeper into the dark canyons of identity yet what he found was less and less familiar from what we usually choose to label our civilised selves on the surface. The zoo photographer references? Perhaps we are all the animals locked within the bars of a society repressing us from expressing the real and ever present animal desires within. Maybe that’s what he means when he’s talking about getting beyond our preconceptions, namely of the modern world and all the illusions and distractions that it causes us to reside within. Getting back to ourselves, calling things what they are, it seems not too much to ask of us all? Rather than ramble any further about the ideas of who some may consider the god of photography bar none, Id like to suggest John Szarkowski’s analysis of Winogrand. I believe this text is more inciteful of his techniques/strategies than anything else ever written about him by some distance. 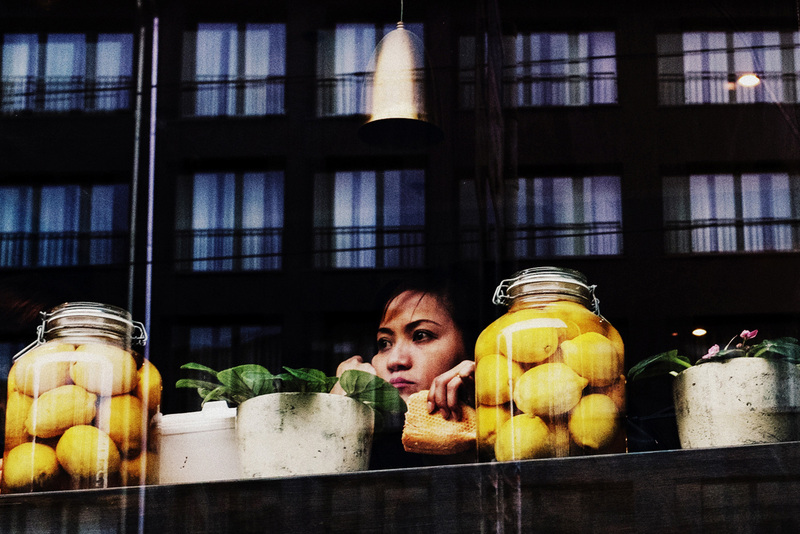 Szarkowski was the photographic curator at MOMA in New York, he was vital for the prosperity of American art photography as well as a personal friend of Winogrand.